Mughlai paratha is deep fried egg, spiced mince stuffed bread. You can even make without mince. 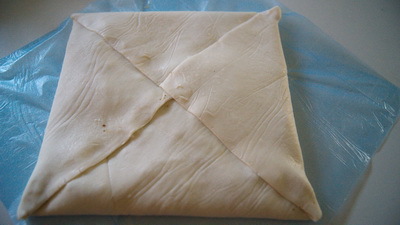 I use here puff pastry sheets for bread. I find it handy. But it can make with scratch. Just knead the dough thoroughly and roll it in square shape. 2. Mix salt with onion sliced properly. 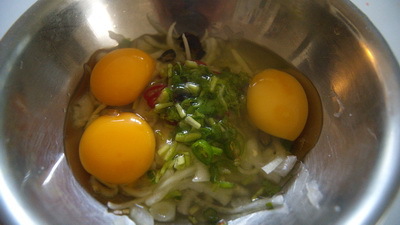 Then add chilli, coriander leaves and eggs and give a whisk. 3. Heat the pan on medium. I like to use oil to deep the sheet half way through. 4. 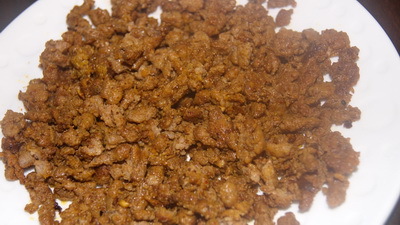 Take a puff pastry sheet and top up ½ egg mix and ½ spiced mince. 5. 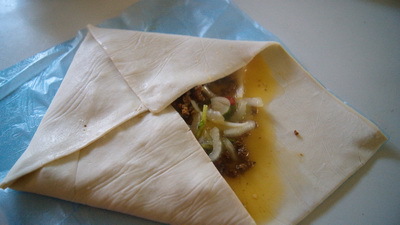 Now fold it like envelope like picture and seal it properly. 6. Place it gentle in oil and fry on medium heat. 7. fry till it becomes golden brown in both sides. 8. Remove from oil and place on paper tissue and repeat the process with other sheet. 9. Cut into bit size pieces and serve mughlai paratha hot with or without sauce. Is this possible to make mulgali paratha in oven? possible but taste not the same. but healthy and easy.. spray some oil on paratha before you put paratha in oven. Thanks. 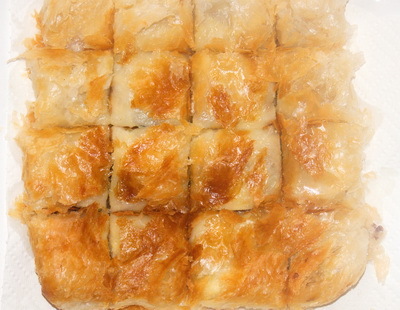 pls will u let me know how to make the pastry sheets or where to get it…. Where do you live? I am not sure about Bangladesh. But you can check in supermarket. If you are live in abroad, you can find it any spuermarket in frozen section. Thanks. family, work, kid, fashion after that need to eat good food too. So short cut becomes must sometimes.banaiye janao kemon holo..
Hi Rownak.thanks for giving this recipe. Dear Rawnak,apnar reciepe gulu khoob valo ebong dhonnobad eigulu amader sathe share korar jonno. ami moglai porata bananor chesta korechi..kintu problem holo eita fold kora jaina…egg dewar por onek soft hoye jai. plz janaben ami ki korte pari? Use frozen sheet, take the sheet out of freeze last minute and de frost for 20 seconds. Put all the ingredients quickly and use bit of egg mix on the edges so they stick well. Let me know if this helps of I will try to create a video for this. Hi Rownak, thanks for this wonderful recipe. Every year before eid( fitr), I start looking for recipe and discover some wonderful cooking blog. Yours is very detailed and complete!! Life saver. I will try couple of them for my eid party! Thanks for your good words and please dont forget to share your experience. api pestry sheet chara ki use kora jabe? ?